Crystal Moselle, the acclaimed director behind the cult favorite documentary The Wolfpack, has been tapped by Miu Miu to create a short film for its ongoing Women’s Tales stories. The film, titled That One Day, also features a pack but this time it’s a gang of girls who bond over their shared love for skateboarding. 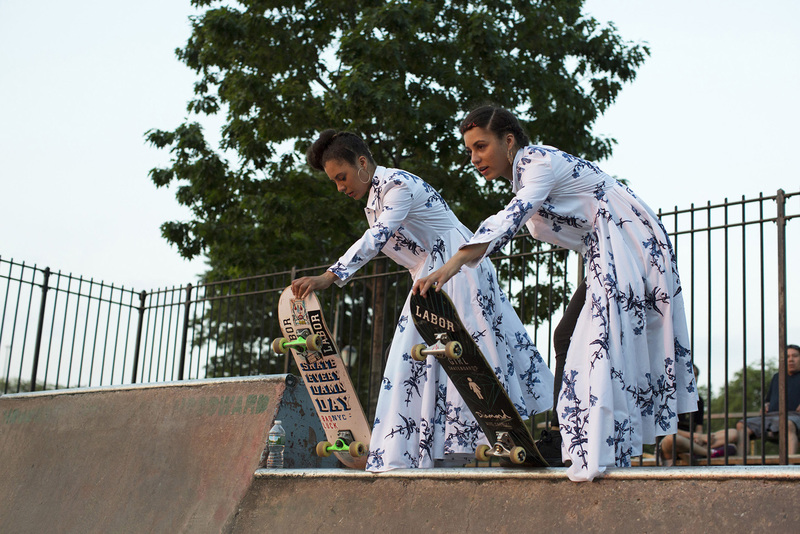 How chic to skate in a pair of matching Miu Miu dresses, non? At the center of the film is Rachelle, a 17-year-old girl, who discovers a squad of fearless women who aren’t afraid to skate the same ramps and do the same tricks as the guys. “I am in love with the transformation stage in a girl’s life,” said Moselle in a press statement, “when they are not quite a girl but not quite a woman. When I was in my transformation stage, as a young girl, Miu Miu was a big part of that story.” Moselle is also well-known for her viral video sensation Shapeshifting, which follows a group of 14-year-old ballerinas. That One Day debuted yesterday at the Venice Film Festival “Venice Days” program, where Miu Miu’s Women’s Tales short-films have premiered since 2012. Other strong female directors to create short-films for Miu Miu include Ava DuVernay, Zoe Cassavetes, Alice Rohrwacher, and Naomi Kawase, to name just a few.